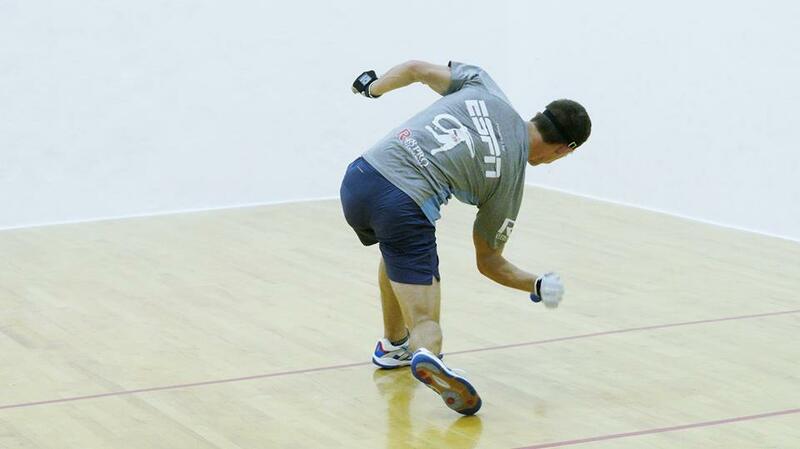 The spectacular 33-man field in the Men’s Open Singles at the 2018 World Championship/USHA Four Wall Nationals Singles was reduced to four by day’s end on Thursday, as the four remaining challengers ran the gauntlet of talented handball superstars. Two-time defending USHA Four Wall national champion Killian Carroll met current Irish Nationals champion Diarmaid Nash in the first quarterfinal of the day. Carroll had defeated Nash in their only encounter on U.S. soil in 2015 and was aiming for consecutive wins on U.S. soil to advance to his second consecutive World Championship semifinal. Carroll and Nash played evenly throughout the first 32 points of game one, with the two Irish superstars tied at 16. As Carroll has done for the last two seasons, “Flash” found another gear, rifling bottom board kills to take a one-game lead. Carroll carried the late game one momentum into game two, cruising past the stylish left-hander. 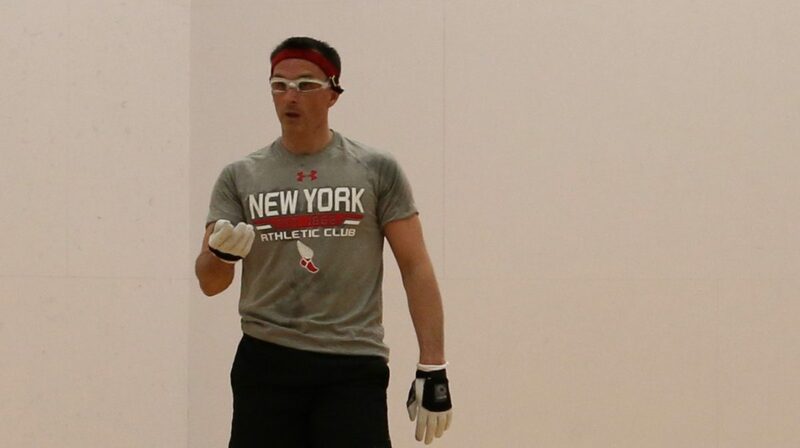 “Diarmaid came into this event in the best shape of his life and Killian’s pressure was just too much after a grueling first game,” stated WPH play-by-play announcer Dave Vincent. 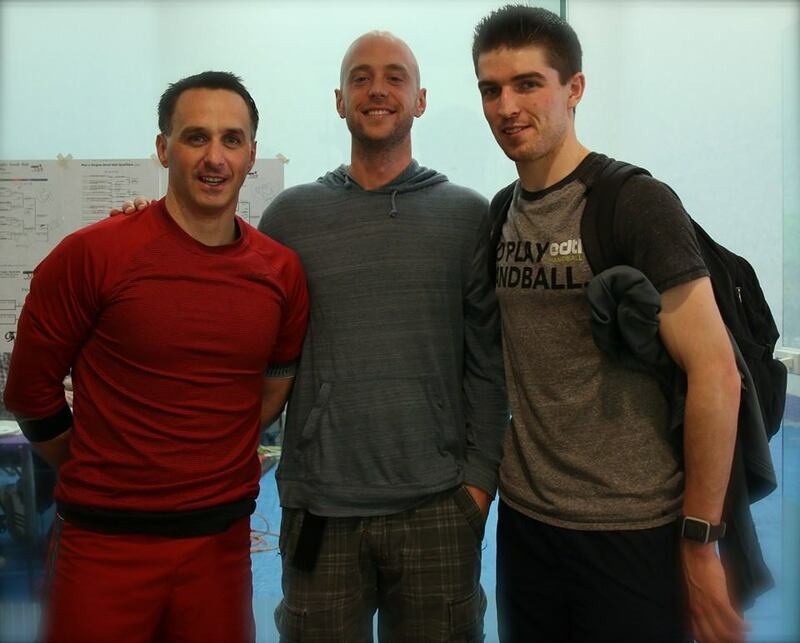 Robbie McCarthy and Sean Lenning’s contrasting styles have produced several of the most memorable matches in recent handball history, with McCarthy ousting Lenning 11-10 in the tiebreaker at the 2015 World Championships and overcoming a 3-15, 1-14 deficit to stun Lenning at the 2017 R48 Memorial. McCarthy jumped on Lenning early in the first game, taking a 14-5 lead by playing consistently and digging nearly all of Lenning’s kills. Lenning chipped away at the deficit, eventually tying the game at 19. Both players squandered offensive opportunities at 19-all before Lenning made a left-hand error to hand “The Buzzsaw” the 20th point. McCarthy secured the first game on his next serve, taking the momentum in one of the sport’s most entertaining rivalries. Lenning made an early push in game two, building a 3-1 lead but quickly became undone by errors and McCarthy’s steady assault. McCarthy snatched a 20-10 lead, only to see Lenning mount one final charge. Three consecutive slide calls went against McCarthy before the Irish dynamo finally closed out the match. 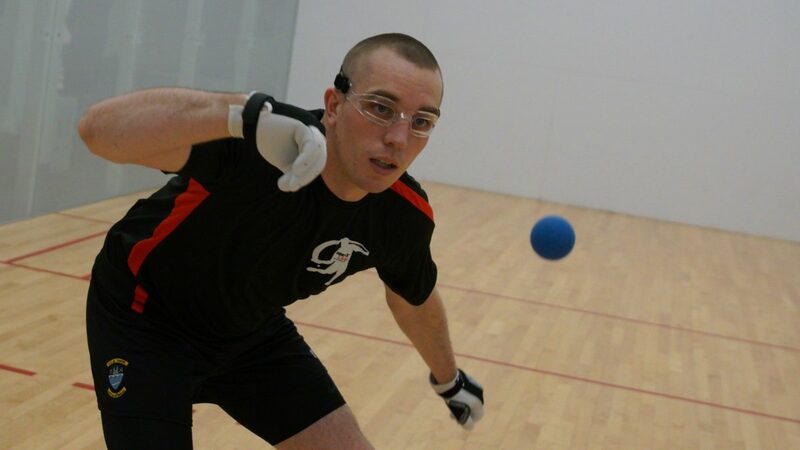 “I feel really good going into tomorrow,” stated McCarthy to GAA Handball. Martin Mulkerrins quickly rose to the short list of favorites in Minnesota on the heels of his dominant All Ireland win in the spring. Mulkerrins would face uber-talented Irish rival Colin Crehan for a spot in the Final 4. Mulkerrins and Crehan traded outrageous kills throughout the match, with the future of the sport on display in a battle of two of the most stylish players in the game. “Watching Martin playing Colin looked like the same player playing himself,” stated WPH video engineer Jeff Kastner. Mulkerrins separated himself from 9-all ties in both games to take 18-10 leads. “We were close there in the first half of both games and I sort of broke away, but Colin made some unbelievable shots to cut the deficit to 17-19 in game two,” stated Mulkerrins. “Colin is the type that will just keep shooting and he’ll make running left-handed kills and all sorts of great shots.” Mulkerrins was able to hold off the hot-handed Crehan to advance. 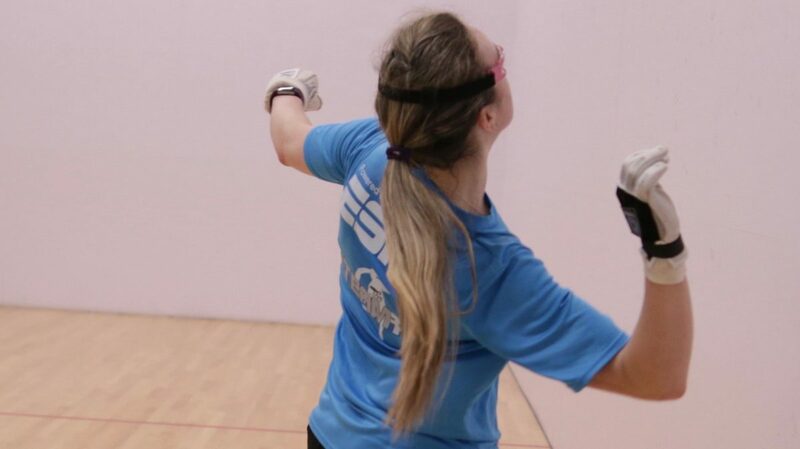 “I’ll tell you, Martin is hitting the ball as hard as anyone ever with both hands right now,” stated WR48 Tucson Memorial champion Martina McMahon. Paul Brady entered his quarterfinal class with Lucho Cordova with a 6-0 head-to-head record, but 14 months away from the game and a white-hot Lucho made this clash very interesting. Brady and Lucho played six 30+ shot rallies in the first nine points of the match, with neither player able to consistently put the ball away. At 5-4, Brady jumped for a shot near the back wall and rolled his ankle. Brady used a 13-minute injury timeout to have his ankle checked by the sports medicine team, returning to the court gingerly. Lucho took advantage, building a 16-12 lead and seemingly on the verge of a one-game lead. Brady started his comeback by switching to a two-wall serve into the left corner, earning first-strike opportunities to tie the score at 17. Brady then closed out the game with three sensational fly kills. Lucho started game two by racing to a 10-0 lead, aided by seven Brady errors. It appeared that Brady might let the second game go, but “The Gunner” held Cordova at 10 for five consecutive innings, while cutting the lead in half. Brady appeared to start trusting his sprained ankle, as he moved more freely and starting hitting the ball harder. “Brady just has so much reach and flexibility that he can get to a lot of balls,” stated Lucho’s brother Danos. Brady ended the match on a 21-5 run, advancing with an improbable two-game sweep. The Women’s Open singles kicked off with round of 16 action on Thursday, with eight women vying for four spots in Friday’s quarterfinals. 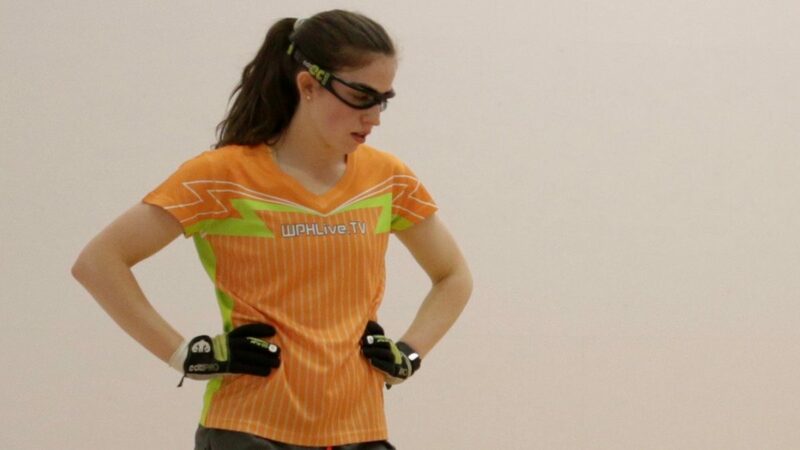 Aoife McCarthy dispatched 2018 WR48 NYAC finalist Suz Entzeroth in two quick games to setup a quarterfinal clash with good friend Catriona Casey, while Ciana Ni Churraoin returned from knee surgery to defeat Colorado’s Aimee Fadden to setup a quarterfinal match with Pauline Gallagher. In the bottom bracket, 2017 USHA Four Wall National finalist Tracy Davis was too strong for Kristina Langhorst, while Ireland’s Aisling O’Keeffe cruised past Texas veteran Jennifer Schmitt.